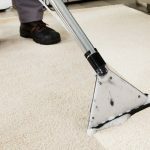 By cleaning and protecting the furnishings in your Living Room or Lounge all at once this package offers you the very best way to restore your carpets and upholstery to an almost like new condition. Take care of the good room in your home and welcome family and friends with a contented heart. Relax and enjoy the company instead of fretting about your carpet and upholstery. Minimal Disruption – work is done in just ONE visit. 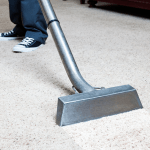 You Choose – ‘Clean and Protect’ or ‘Healthy Home’ service. PLUS, Get your Hallway done on the same service for FREE*. AND 10% OFF ANY other areas done on the same visit. Evenly apply our unique protection treatment, for thorough deep down lasting protection. We’ll also do your hallway carpet with the same service as the others free of charge. 20% off is off the normal full price for that item individually. Room/Lounge carpet. In such cases the charge will be for the Hallway and the Living room/Lounge will be free of charge, ie, the smallest area is the free area. 10% off other areas is off the normal full price for that item individually. Work must be quoted for at the same time as the quote for the Living Room Package. Work must be booked for the same visit as the Living Room Package.